21 Comments on "The Lil’ Dorado Pendoflex and other Small Craft"
Oh man, if that isn’t the coolest 4 feet of variable foam, I don’t know what is. Hey Steve-O,that looks like awholelottafun!! We need to hang out!!! can’t wait to talk story with you. Hey Rob, thanks! Sure, give us a call! Cowa-flexit! Hey Russell, thanks for your note. Sounds great. very very nice- how wide are those lil’ fellas? i hope you two are well. I have a green duckie Steve shaped for me last year. It is easily my favorite board. Really durable too I lost it into a jetty this summer and it was caught in for a few sets. I was real nervous when I was able to get to it but it only had a tiny little ding in one of the fins. So lucky! Order one you will not regret it! Hi Steiny, thanks for your kind note! The widths range from the first Rubber Ducky which is about 23-1/2″ to the Lil’ Garibaldi and Lil’ Dorado which are 20 inches and 19-1/2 inches wide. We are well thanks, and hope that you are too! Hey James! Mahalo for sharing your story of stoke about your Pendoflex Duckie!! Aloha and Cowa-flexit! Hey Mr. Salty, thanks for your note. We’re stoked that you’re stoked! Steiny, thank you for your note, we’re happy to hear that you are doing well. We send you all our love too. Stand up surfing may be in my past with two bum shoulders, so I’m thinking paipo. But I’ve been thinking more glide and float. Do you . 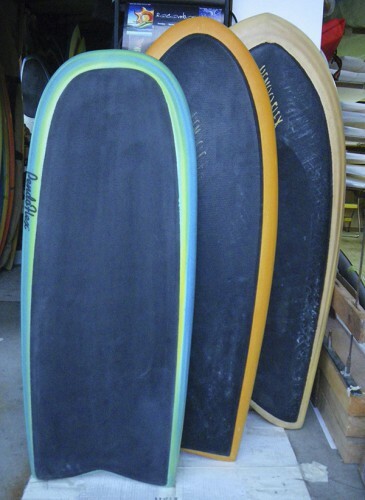 have any experience with boards over 5′ long and 24 inches wide? Yes, we have! 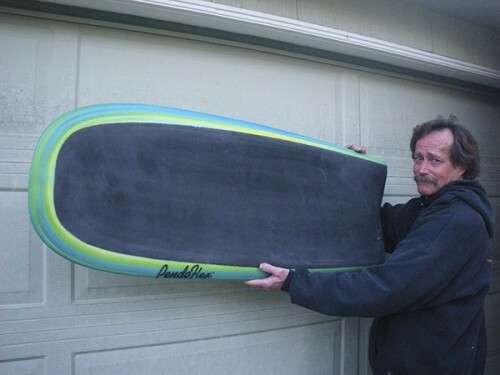 Right now, Steve is making a 6′4″ x 23.5″ bellyboard – kneeboard for a 70 year old surfer. Steve has made others in the five to six foot range and they fly. Do you have reports on how those large paipos are working out? Do you have any photos or additional information? Thanks for writing. The paipos work really well! They’re very fast and maneuverable. 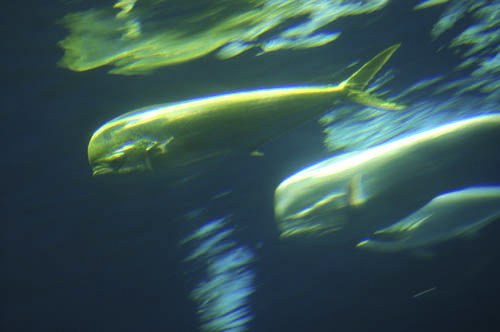 Cher can paddle into waves on the Lil Gaby 4′4″ without fins. 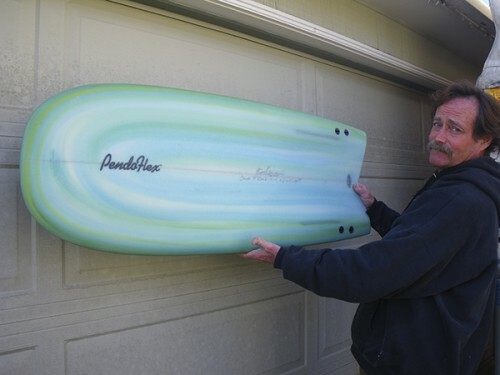 As for the larger paipos that Steve has made for our 70 year old friend, he was charging on the recent SW swells riding his new 6′0″ Pendoflex bellyboard! No cameras where we surf, but he was all smiles, and we saw him easily paddling into waves and making very fast sections! He have photos of he and the board, but not while surfing. Hey, John, We just made a new post that shows R’s 6′0.” It has a fast, special tri plane hull bottom.